The University of Illinois’ Diwaker Shukla, a Blue Waters professor in the Department of Chemical and Biological Engineering, and Hannah Holscher, assistant professor of nutrition in the Department of Food Science and Human Nutrition, were two of the seven recipients of a prestigious Foundation for Food and Agriculture Award for Early Career Innovation. Shukla was honored in the Nutrition and Healthy Foods category, while Holscher earned the accolade in the Nutrition and Healthy Foods category. The New Innovator in Food and Agriculture Research program supports promising scientists who demonstrate not only a commitment to catalyzing innovation in food and agriculture, but also a dedication to mentoring students. 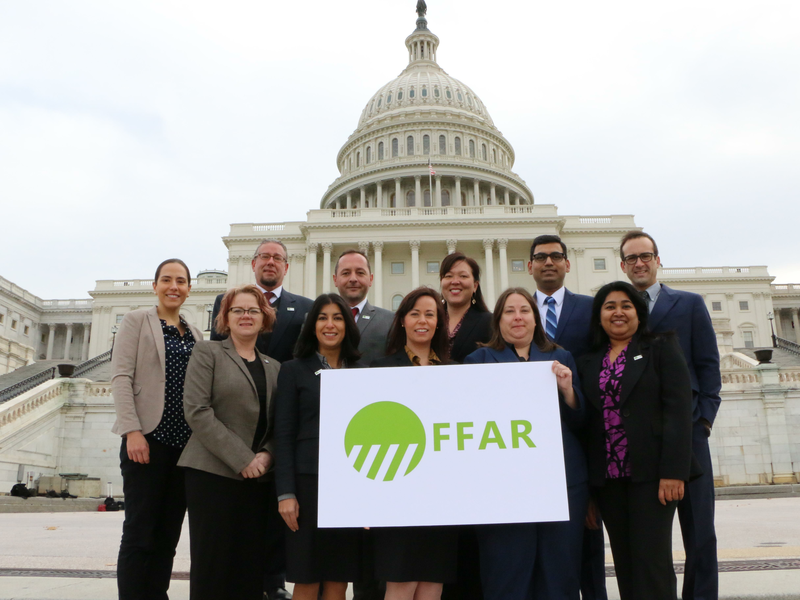 The annual set of early career grants to outstanding food and agriculture research faculty members is a program of the Foundation for Food and Agriculture Research (FFAR), a nonprofit established through bipartisan congressional support in the 2014 Farm Bill. Holscher received a FFAR grant of nearly $600,000 to fund a project looking at diet, the human gastrointestinal microbiome, and metabolic health over the next three years. Research in Holscher’s laboratory at U of I, the Nutrition and Human Microbiome Laboratory, integrates the areas of nutrition, gastrointestinal physiology, and the microbiome. Her research focuses on the clinical application of nutritional sciences with an overarching goal of improving human health through dietary modulation of the gastrointestinal microbiome. Shukla is also an affiliate faculty member in the Center for Biophysics and Computational Biology, the Computational Science & Engineering Program, the Department of Plant Biology, and the National Center for Supercomputing Applications. His research is focused on understanding the complex biological processes using novel physics-based models and techniques. Holscher and Shukla join a group of other 2017 New Innovator in Food and Agriculture Research award recipients who were selected from across the United States in five categories: nutrition and healthy food choices; plant efficiency; optimizing agricultural water use; spurring food system innovation; and transforming soil health. As part of the award, they are participating in a scientific communications workshop in Washington D.C. this week. New Innovator award recipients from 2016 and 2017 were invited to participate in a day-long workshop that will help equip the early-career leaders to promote the importance of their own work and ultimately, attract young scientists to the food and agriculture research workforce. New Innovator awardees will have the opportunity to discuss their work with members of Congress and their staff while in Washington.